Arai’s mid-range lid gets an update for 2017 thanks to technology lifted directly from the Japanese manufacturer’s top-flight race lid. The new Chaser-X features both the ventilation system and visor locking mechanism from the range-topping RX-7V to boost the Chaser’s already impressive spec. 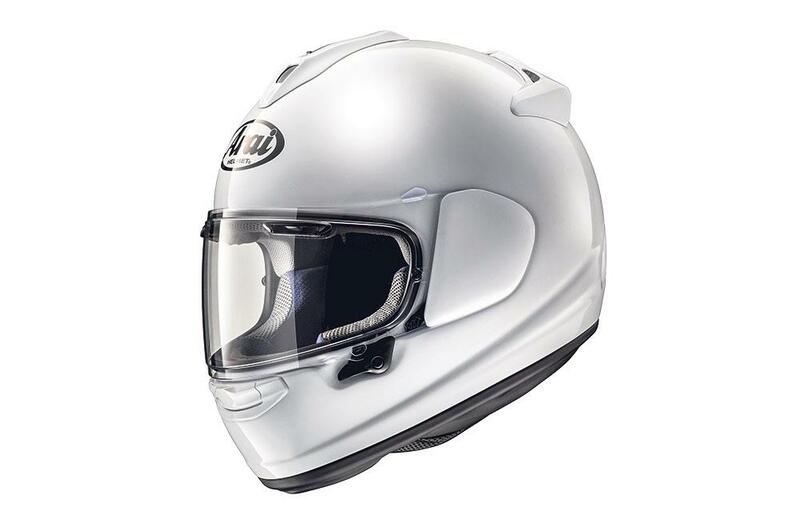 The updated lid is also the third helmet in Arai’s range to feature the firm’s new Variable Axis System, which is said to offer even better protection from glancing blows to the brow and crown of the head. The Chaser-X will be in dealers from April 2017 and will be available in black, white and fluro yellow, as well as a choice of six designs (£469.99).